Sizes are in inches: 16x10, 18x12, 20x14 and 23x16. Lightweight Stainless Steel Trays are great for cocktail parties and dessert tables. Also useful for family style dinner service. 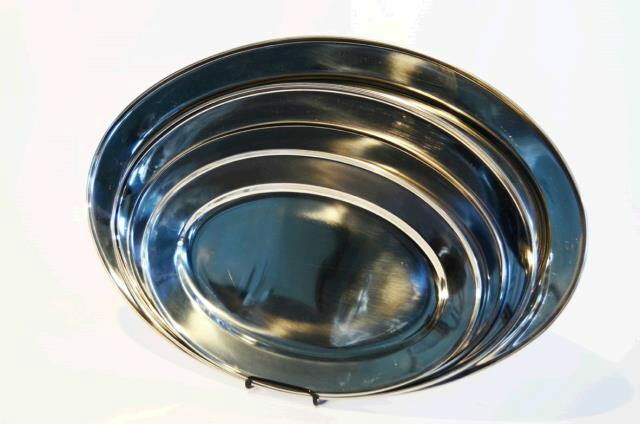 * Please call us for any questions on our oval trays rentals in Surrey BC, Abbotsford, White Rock, Langley, and Delta.